We are now officially over the halfway point, people! That means we've had six winners and there are six more to go and the prizes are only getting better. Today, we're working with Joules, who are most kindly giving you an opportunity to have a little shopping spree for some serious winter classics. You can stock up on everything from floral wellies to tweed jackets. Let's just say your winter walking wardrobe is sorted. As is always the case, the competition is now live on instagram, running with the picture you see above. 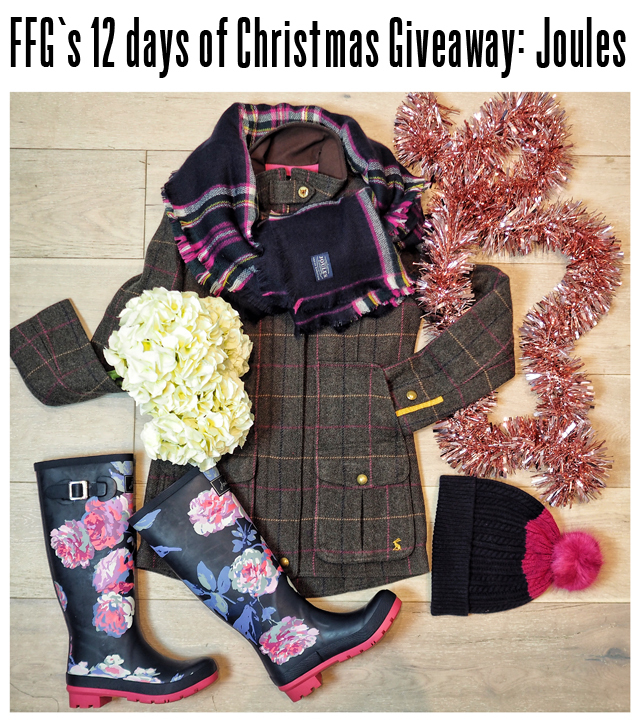 The winner, who will receive £250 to spend on Joules items in the run up to Christmas, will be notified at 10pm GMT. I don't envy you as there are so many good things on the Joules website right now that your head might just explode in being forced to pick. Alright, I've been notified that I may be writing in too dramatic a way in saying that. But, there's no other way to accurately describe how good the offering is right now. Get over there and get entering!!! !